Come join us for a rare and intimate guided meditation and talk with world-famous visionary artists Alex Grey and Allyson Grey. We’ll curate a gathering space inside a glorious Bucky Fuller dome at Synergia Ranch, a gorgeous retreat center, organic farm, and ecological research center. Let your light shine! 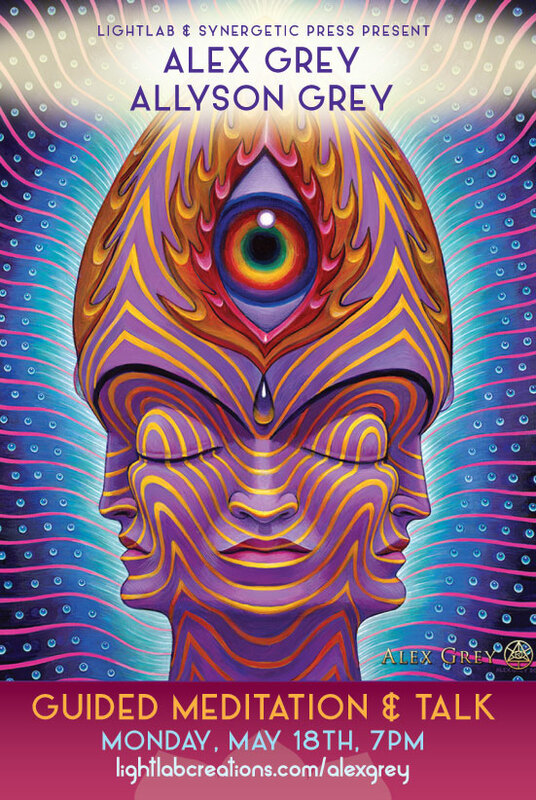 Win signed Alex Grey goodies.We’ll be raffling off signed Alex Grey artwork, as well as signed copies of Alex Grey’s new book, Zig Zag Zen, and everyone who purchases a pre-sale ticket will be entered to win. Faster entry at the event. If you’ve already purchased a ticket beforehand, we’ll be able to scan your QR code faster than you can say “Bless it!” No waiting in line.